If you have not heard of the Uyghur Muqam, you are missing out on one of the musical wonders of the world. 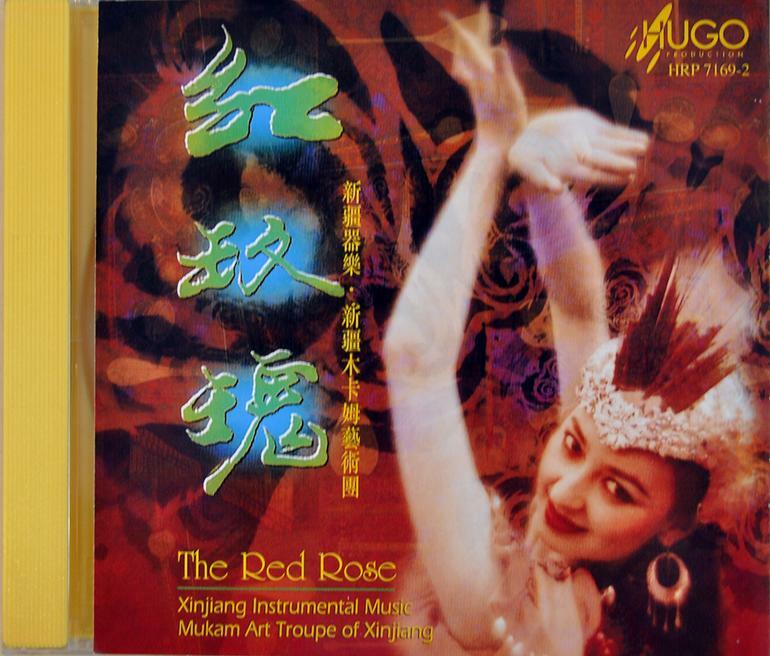 If you want to learn more about this amazing art form and the history behind it, without digging into the 13 volume official history, or listening to 24 hours worth of CDs, you should try out The Red Rose.If you have never heard Uyghur music before, you can do no wrong with the pieces on this CD. The music is full of energy, enthusiasm, and mysticism. There are no lyrics in The Red Rose, just the pure music of the instruments performed by the Xinjiang Instrumental Music Muqam Art Troupe. The wind pieces are smooth and flowing, and the string pieces are really exciting. If you are interested in Middle Eastern/Persian or Central Asian Music, this will be a perfect CD for you. Feel free to download any of the samples below for a try.This CD is only available here, and we are offering it for only $20USD including shipping. Yes, this is $20 total final price. We will ship by air and the CD will get to you in 1 or 2 weeks.This CD contains the following tracks: (Song titles are in Uyghur, translated to English where applicable)Ajemu (Dutar Duet) listenThe Red Rose (Dombura Solo) listenTashvai (Uyghur Rawap Solo)Song Of The Herdsman (Dizi Solo)Jula From Muxiaweirek Muqam (Wind Solo)Festive Happiness (Sonay Solo)Tazak From Chebyat Muqam (Instrumental Ensemble) listenYearning Towards My Lover (Dutar Solo) listenXiadiyana (Ghijek Solo) listenXiadiyana (Rawap Solo) listenPashiru From Wuzihale Muqam (Instrumental Ensemble) listenLahan (Dutar Solo)Kuerle Sanam (Sonay Solo) listenTazak From Ushakh Muqam (Satar Solo)First Dastan From Rakh Muqam (Satar Solo) listenAbout UsThe instruments spend about 2 months in our store from start to finish. All of our stringed instruments are hand made by an experienced team of master craftspeople according to Uyghur traditional style. Each instrument is built to order and unique. We have been selling instruments worldwide for 30 years from our headquarters in Kashgar, Xinjiang Province, China.Our decorative wooden musical instruments are crafted with serious professionals in mind, but can also be enjoyed by collectors or any who enjoy traditional or rare musical instruments.Each of our musical instruments is carefully packed into a custom built, sturdy wooden box to ensure its safe arrival at your home. Please allow 20 to 30 days for priority shipping. If you wish, we can also arrange express shipping.We are eager to answer any questions you may have, please feel free to ask the seller. We are also equipped to handle bulk sales to interested retailers.Be sure to visit our store for more exciting treasures from Central Asia.